Let your creativity take control with the EOS 77D camera. Featuring an optical viewfinder with a 45-point all cross-type AF system and fast, accurate Dual Pixel CMOS AF with phase-detection, it helps you capture the action right as it happens. Alongside the viewfinder, the EOS 77D's extensive, customizable controls and brilliant image quality help you get the photo looking exactly how you want it. Capture the vibrant colors and fine details of inspirational scenes with the 24.2 Megapixel CMOS (APS-C) Sensor. Without missing a beat, check and change your settings with the top-mounted LCD screen and rear Quick Control dial. When you're satisfied with your work, built-in Wi-Fi®, NFC and Bluetooth®^ technology lets you easily share your favorite photos and videos. 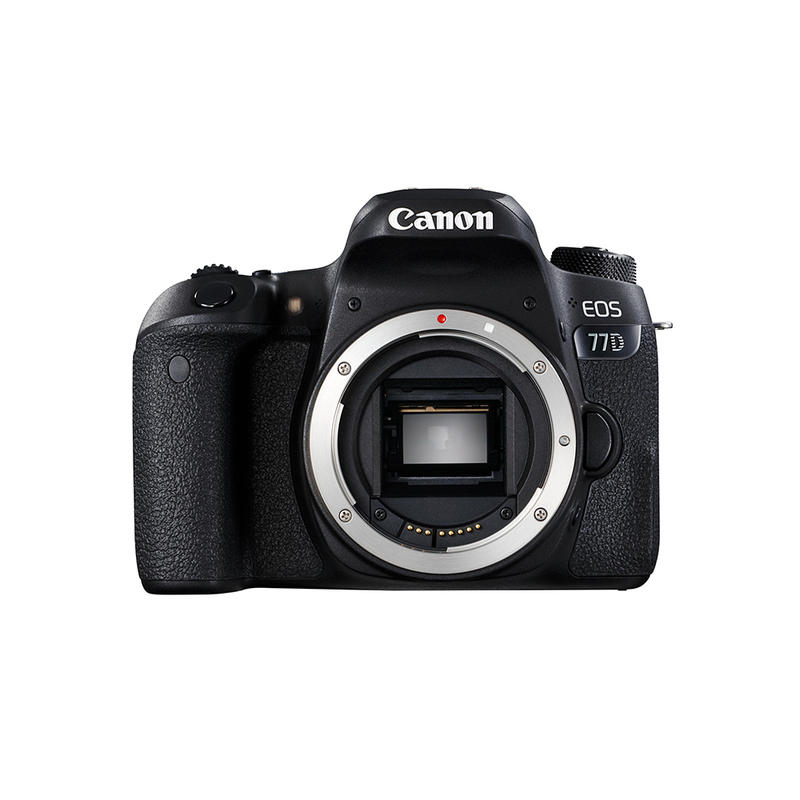 Creative control and innovative customizability comes with the EOS 77D. Bluetooth® pairing lets you quickly and easily connect the EOS 77D camera to the optional Wireless Remote Control BR-E1 for remote shooting or the optional Power Zoom Adapter PZ-E1. It also helps you connect the camera to compatible smart devices using the free Canon Camera Connect app. This low-energy connection can be set to connect automatically upon discovery of the two devices and helps preserve battery life while maintaining a wireless connection. You can also establish a direct Wi-Fi connection to use your phone as a viewfinder, and check and download previously captured photos and videos. Colour Detection AF detects skin tones and helps provide precise AF.